This 18k yellow gold Catier Pather necklace is set with 452 diamonds totaling about 15.00ct. It measures 16.5" long. 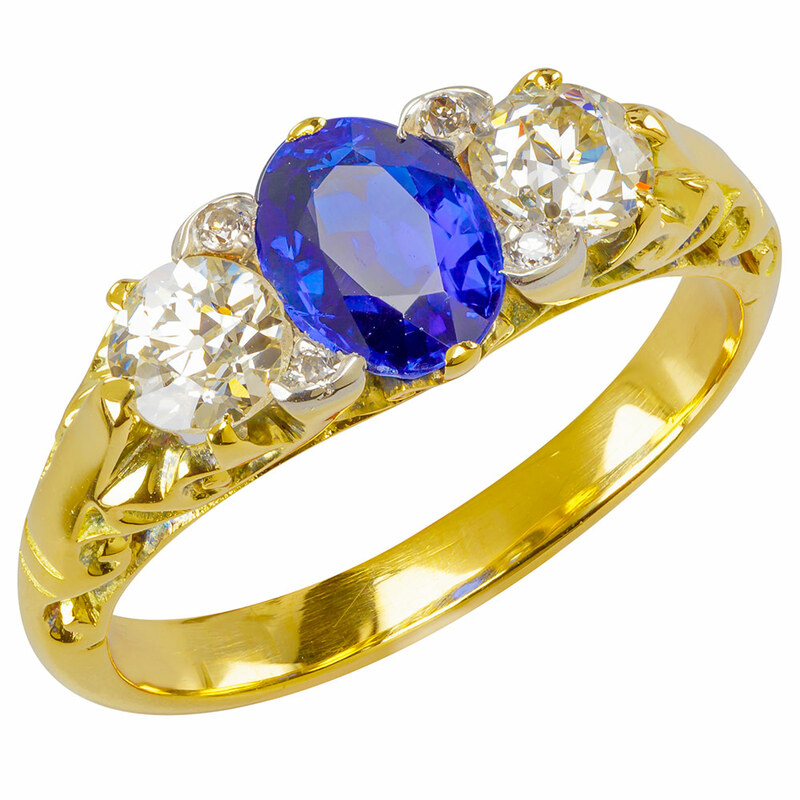 This custom 18K yellow gold ring features 6 round brilliant diamonds totaling 0.06ct, a 1.00ct oval sapphire measuring 7mm x 5mm, and intricate metalwork. The ring measures a size 5.5. This 18K yellow gold David Yurman dome cable ring features 7 princess cut diamonds totaling approximately 0.86ct and 20 round diamonds totaling approximately 0.70ct. The inside of the band is stamped “18K” and “(C) YURMAN”. The ring fits a finger size 6.5. The whole ring weighs 8.99 grams.